I am beyond excited to share this with you! This is something I have wanted to create for so long and it is finally here! Over the years, I have created some of my printables in my homeschool binder, but knew I wanted a planner that was completely customized for the needs of my family. The Simplified Homeschool Planner is just what I needed and I hope it will be a blessing to you as well! 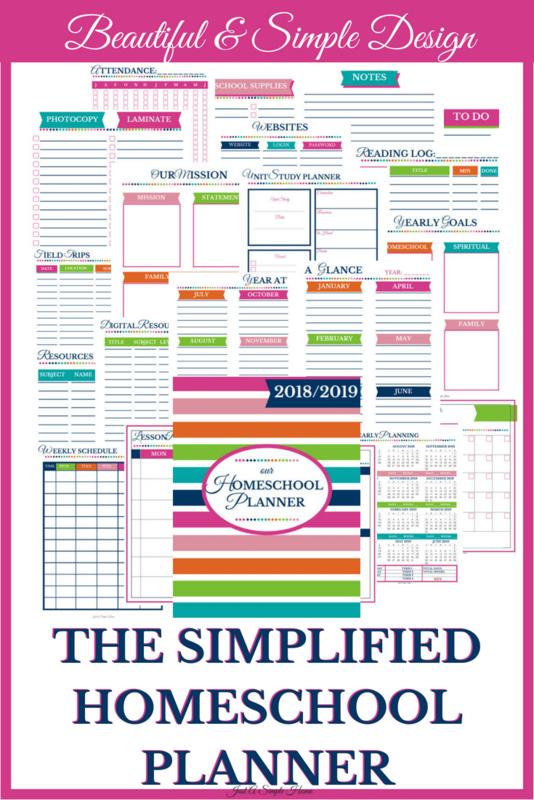 GET MORE INFORMATION ABOUT THE SIMPLIFIED HOMESCHOOL PLANNER HERE!!! What a great way to stay organized! I’m doing some home schooling this summer with my little ones! Staying organized is hard! What a helpful tool! This is such a cute planner! I’m loving the goals section and the different breakdowns of the calendar! Very nice! Lots of great sections.